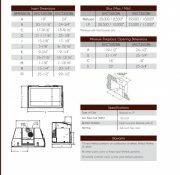 RUSHMORE CLEAN-FACE Direct-Vent Fireplace Inserts Available in 30-inch and 35-inch models, Rushmore Direct-Vent Inserts turn your wood-burning fireplace into an attractive and efficient centerpiece. The TruFlame system combines technology with aesthetics to create truly realistic flames and a glowing ember bed, reminiscent of a wood fire. Beneath the logs, the massive field of glowing embers assures everyone that this fireplace has been warming your home all day. Concealed beneath the logs and embers, the two burners let you vary the flame and the heat output to create the perfect mood. 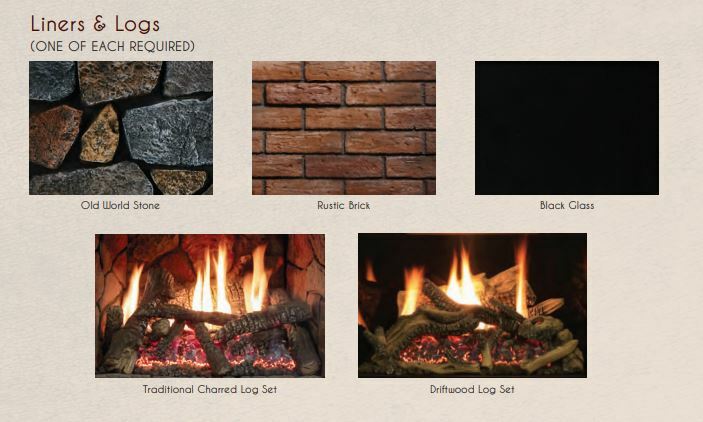 Most Realistic Flames Complementing the logs and giant ember bed, TruFlame Technology includes two burners for independent front/rear burner control of the ultra-realistic flames. 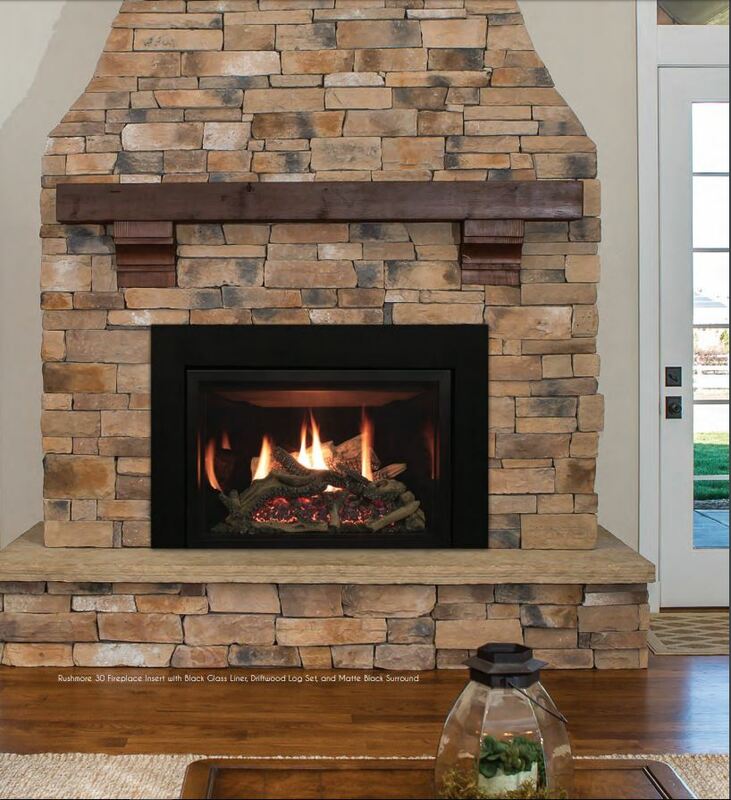 With both burners in your control, you can call for a roaring fire, a low glow, or anywhere in between. 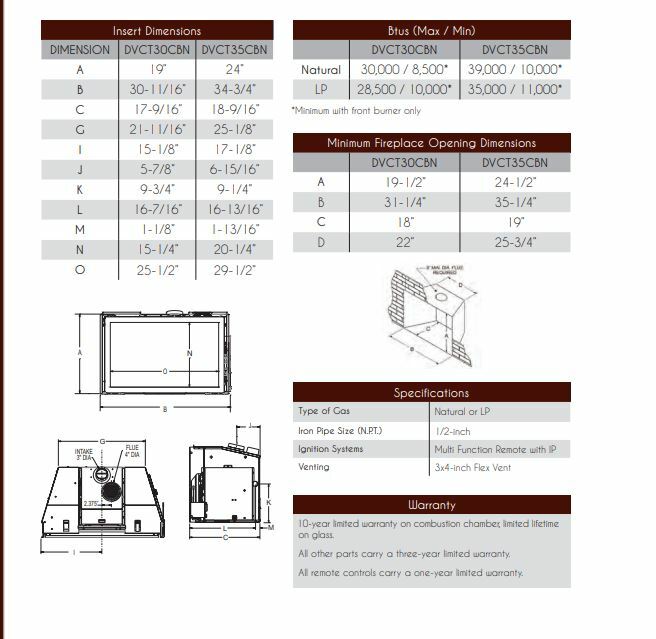 The multifunction remote operates as a conventional thermostat, a Smart Thermostat which modulates flame height as the room reaches the desired temperature, or as a manual control. The remote also operates the included accent light and blower. 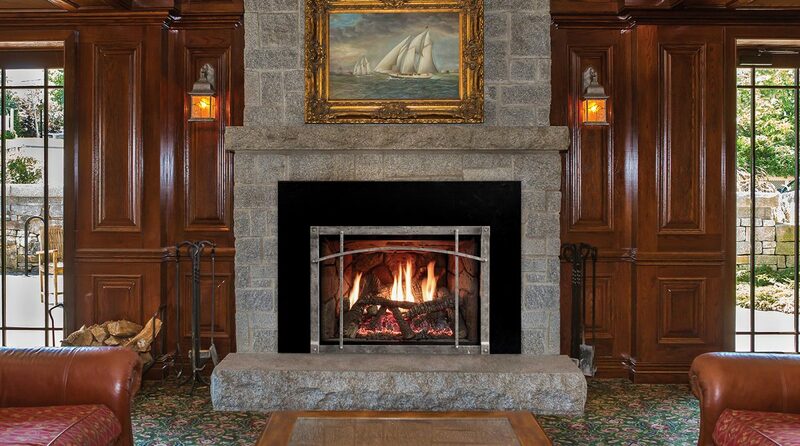 Your Rushmore Direct-Vent Insert includes an accent light, full function remote, and blower. 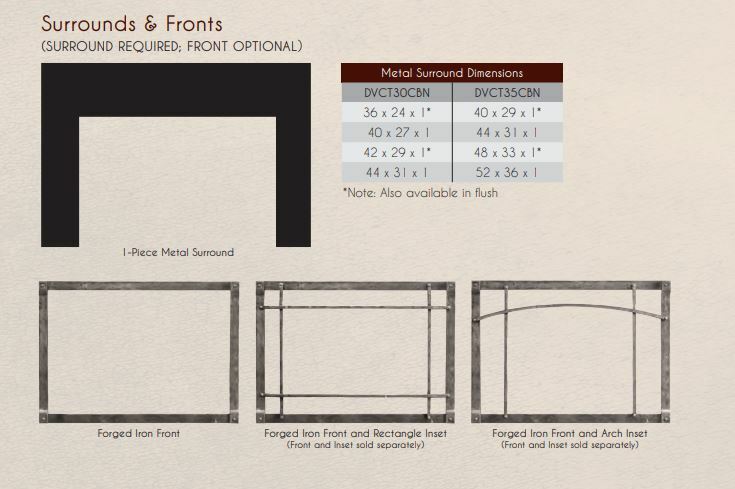 Customize your insert further by choosing a liner and log set (both required), and finish it with a required surround and optional front. 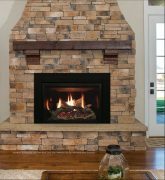 The Enviro E33 Gas Fireplace Insert is packed with the latest features for clean, long-lasting flames, ease of operation, and a large viewing glass.